History Maker of the Week: Jazz Great Ellis Marsalis, Jr.
During Black History Month, Library News & Announcements will feature one history maker per week from the HistoryMakers Digital Archive to coincide with the Office of African-American Affairs’ Black Themed Friday events at the Luther Porter Jackson Black Cultural Center. 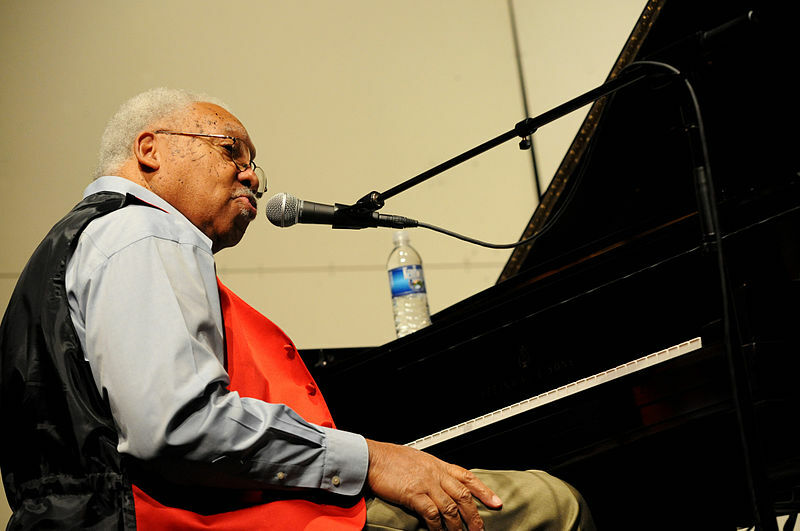 Today, February 1, from 1:30 to 3:30, the LPJ Center features jazz pianist and music professor Ellis Marsalis, Jr.—probably best known as the father of renowned musicians Branford and Wynton Marsalis. But Ellis Marsalis, Jr. has his own story to tell. View the complete HistoryMakers interview! In the interview, Marsalis speaks about his great grandmother who was born in slavery, and his grandfather, Simeon “Simmie” Black, an orphan who was taken in and raised by the Marsalis family. Marsalis’ mother bought him a clarinet at age eleven and he studied at the Xavier University Junior School of Music. The nun who taught orchestra at Xavier expelled him because he attended Gilbert Academy, a Methodist private high school. His expulsion turned into a break, however, when he began taking piano lessons from minister’s daughter Geneva Handy. By his senior year he was learning to play bepop. While in high school, Marsalis found a mentor in Harold Battiste, a student at Dillard University where Marsalis later enrolled. After college, he was drafted into the armed forces and played clarinet in a Marine marching band in California. He also played piano in a jazz quartet, the Corps Four, on television and radio in Los Angeles. After Marsalis’ enlistment was up, Harold Battiste began releasing his on-air recordings under his own AFO (All For One) label. 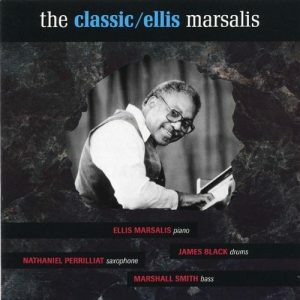 In the early ’60s he released an album that came out again in 2003 on CD as The Classic Ellis Marsalis. Marsalis describes his musical style as melody-based, recalling a time when “there were different jazz groups employing similar concepts,” and laments that “the sense of community has kind of vaporized.” He talks about meeting his wife, Dolores; about being band and choral director for a school in Beaux Bridge, La. ; about working odd jobs at his father’s motel in the ’60s when Dr. Martin Luther King, Jr., Ray Charles, B.B. King, and Dinah Washington stayed there; about teaching part-time at Xavier University, moving on to teach full-time at the New Orleans Center for Creative Arts, about going to Virginia Commonwealth University as coordinator of jazz studies, and returning home as head of Jazz Studies at the University of New Orleans. This entry was posted in Black History Month, Featured Resource, News and tagged African American, awareness, Black History Month, Civil Rights, content stewardship, history, HistoryMakers, John Unsworth, Julieanna Richardson, Teaching & Learning, University Librarian by Mitch Farish. Bookmark the permalink.